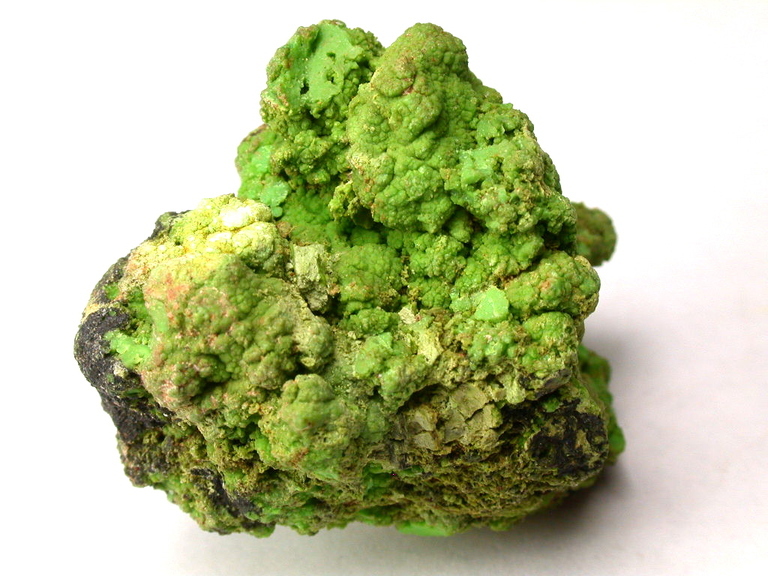 Gaspéite: Mineral information, data and localities. 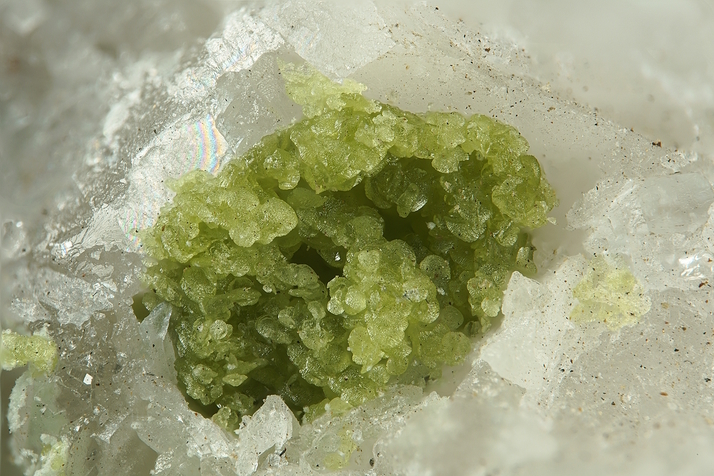 Visit gemdat.org for gemological information about Gaspéite. Gillardite 22 photos of Gaspéite associated with Gillardite on mindat.org. Widgiemoolthalite 6 photos of Gaspéite associated with Widgiemoolthalite on mindat.org. Maucherite 5 photos of Gaspéite associated with Maucherite on mindat.org. Gypsum 5 photos of Gaspéite associated with Gypsum on mindat.org. Pecoraite 5 photos of Gaspéite associated with Pecoraite on mindat.org. Nullaginite 5 photos of Gaspéite associated with Nullaginite on mindat.org. Annabergite 4 photos of Gaspéite associated with Annabergite on mindat.org. Kambaldaite 4 photos of Gaspéite associated with Kambaldaite on mindat.org. Glaukosphaerite 3 photos of Gaspéite associated with Glaukosphaerite on mindat.org. Hydrohonessite 3 photos of Gaspéite associated with Hydrohonessite on mindat.org. KOHLS, D.W. & RODDA, J.L. (1966): Gaspéite, (Ni,Mg,Fe)(CO3), a new carbonate from the Gaspé Peninsula, Quebec. American Mineralogist 51, 677-684. PERTLIK, F. (1986): Structures of hydrothermally synthesized cobalt (II) carbonate and nickel (II) carbonate. Acta Crystallographica C42, 4-5. Reviews in Mineralogy, Mineralogical Society of America: 11. AM 70 (1985), 419; Mineralogical Magazine 1981 44 : 333-337.; Fetherston, J. M., Stocklmayer, S. M. and Stocklmayer, V. C. (2013): Gemstones of Western Australia. Mineral Resources Bulletin 25, Geological Survey of Western Australia, Perth, Australia, 306 pp. Am.Min. 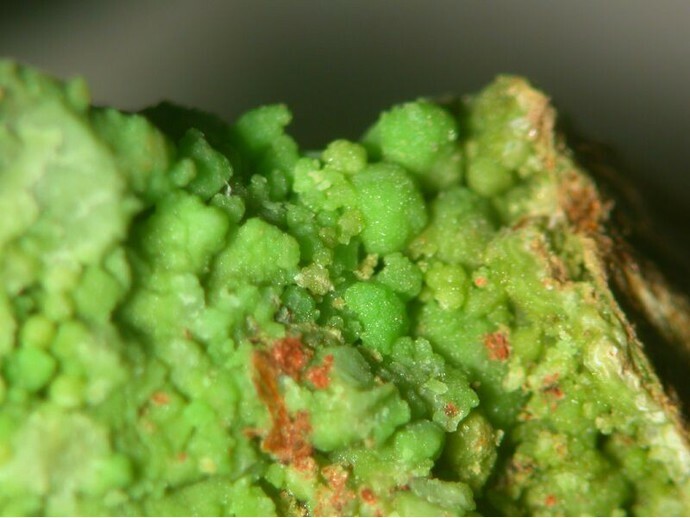 : 78: 819-821.; Nickel E H, Robinson B W, Mumme W G (1993) Widgiemoolthalite: the new Ni analogue of hydromagnesite from Western Australia. American Mineralogist 78, 819-821; Clissold, M. E. (2007) Aspects of the Supergene Geochemistry of Copper, Nickel and Bismuth. PhD Thesis University of Sydney, Australia 162pp. Jim Daly collection; Fetherston, J. M., Stocklmayer, S. M. and Stocklmayer, V. C. (2013): Gemstones of Western Australia. Mineral Resources Bulletin 25, Geological Survey of Western Australia, Perth, Australia, 306 pp. Garcia-Guinea, J., La Iglesia, A., Crespo-Feo, E., Gonzalez del Tanago, J., Correcher, V. (2013) The status of zaratite: investigation of the type specimen from Cape Ortegal, Galicia, Spain. European Journal of Mineralogy 25:6, 995-1004.